The American public has an uncomfortable relationship with Tom Cruise. People still watch his movies, but they can’t shake the images of him jumping on Oprah’s couch, or giving a bizarre speech on the “powers” of Scientology. Now one recently surfaced rumor could alienate even more fans. Tom Cruise is arguably the most recognizable movie star in the world. He’s been a mainstay in American cinema for 30 years. While many of his contemporaries have faded over the years, Cruise has remained a box office presence. But Cruise’s devotion to the controversial belief system Scientology has turned off many fans. Documentaries and testimony from former members detail a cult-like structure with Cruise at the top of the hierarchy. One of the rumors surrounding Cruise is that the organization auditions women to be his girlfriend. According to former Scientologist and security guard Brandon Tighe, Scarlett Johansson was one of the women auditioned. After Cruise split from ex-wife Nicole Kidman in 2001, several women were allegedly pre-selected as successors. The alleged incident happened in 2004 when Johansson was 20-years-old. She was fresh off the heels of her breakout performance in “Lost In Translation,” and was in line to be Cruise’s love interest in Mission: Impossible III. But the actress allegedly was turned off by the Scientology organization. According to the documentary “Going Clear,” a scathing exposé of the church of Scientology, a different actress, Nazanin Boniadi (who was prominently featured in season 4 of the Showtime series “Homeland”) was ultimately selected to be Cruise’s girlfriend. Cruise and Boniadi dated from 2004 to 2005. Though Johansson’s denunciation was strong, it doesn’t jibe with the arrangement regarding Boniadi, which seems to be substantiated. Former Scientologist and ardent critic of the church Leah Remini, said Boniadi was forced to do months of menial labor after her split with Cruise. That type of alleged cult-like punishment gives credence to the claims that women were auditioned for Cruise, which makes Johansson’s dismissal as the male imagination run amok ring false. These type of eerie stories about Scientology have floated around for years, but Cruise has mainly been able to resist the backlash, partly because of his work ethic and professionalism on set. If the rumors are true, it’s in Johansson’s best interest to deny, as it could only bring about scandal and invite more questions. 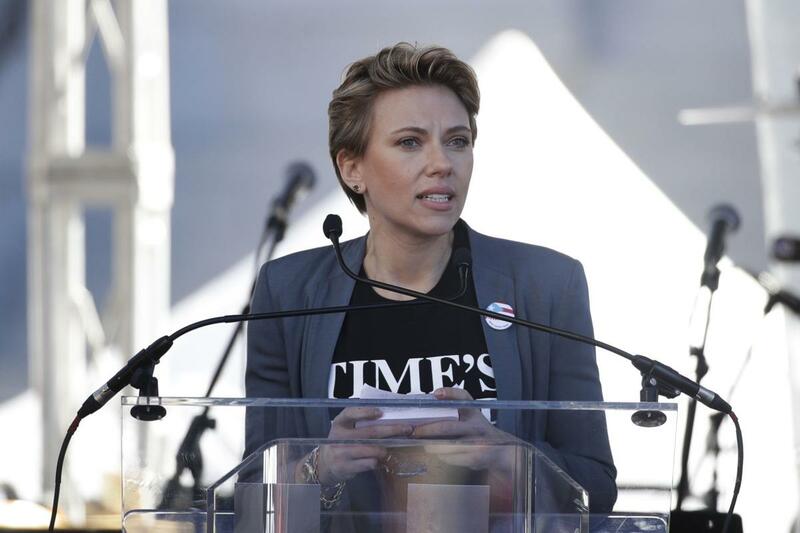 Johansson is a linchpin of a multi-billion dollar Marvel empire with a lot of lose. Meanwhile, Cruise continues to operate at the highest levels of Hollywood despite the specter of alleged impropriety in his personal life. Cruise’s next blockbuster, “Mission: Impossible — Fallout” is set to open in July, and will assuredly do big business.